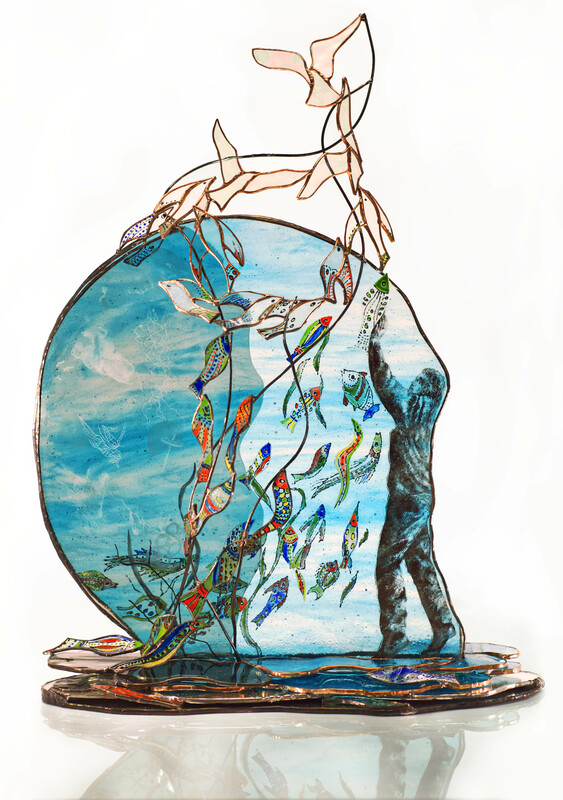 Where do the fish go when we fill their ocean with plastic? 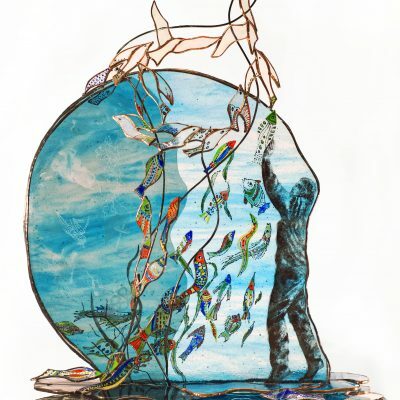 Playing with this concept and how we might help them to evolve so they can escape into the freedom (?) 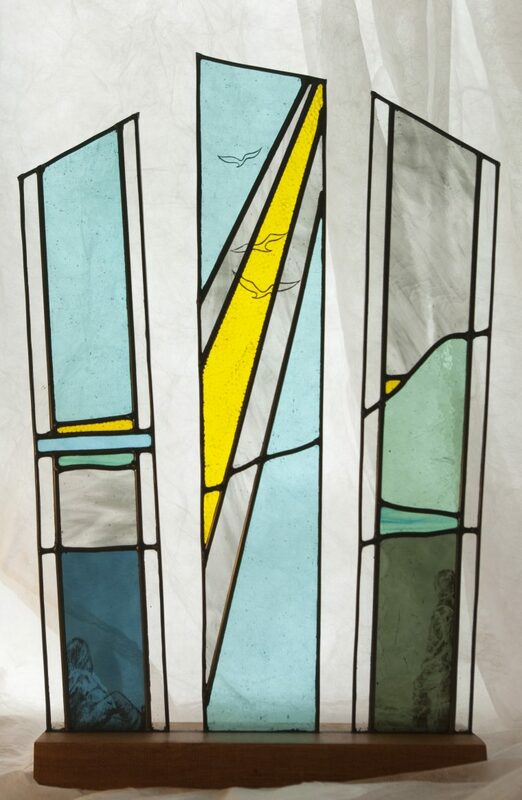 of the sky. 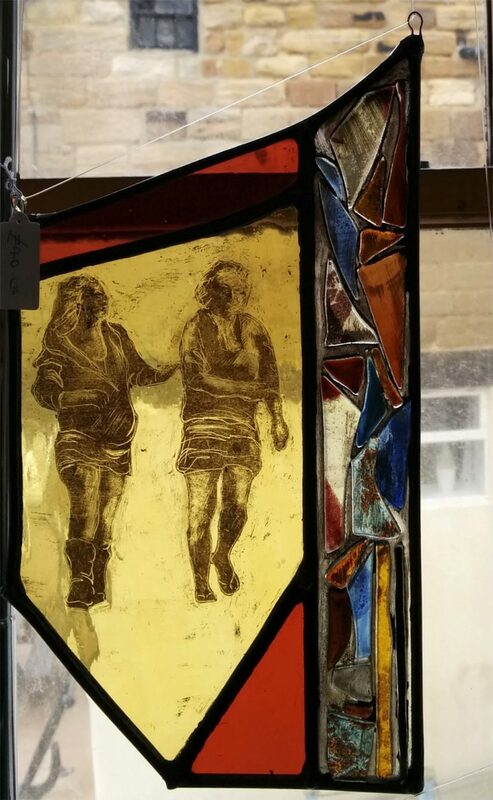 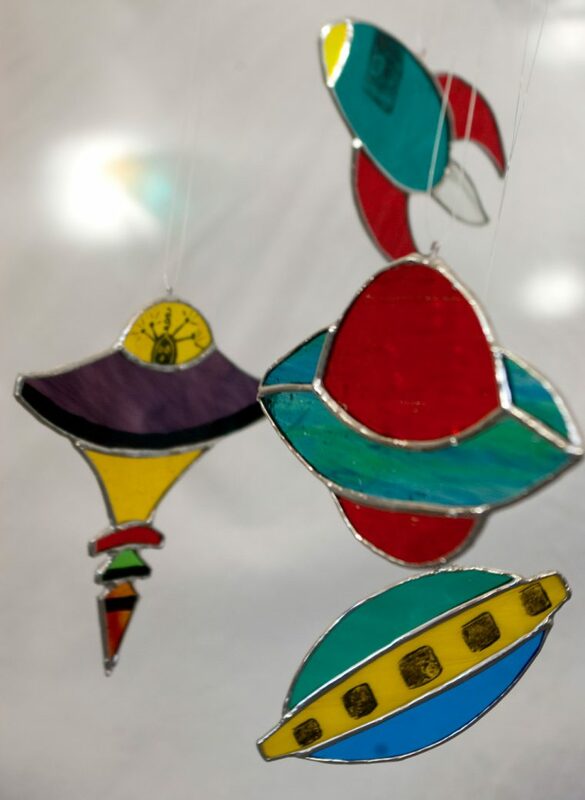 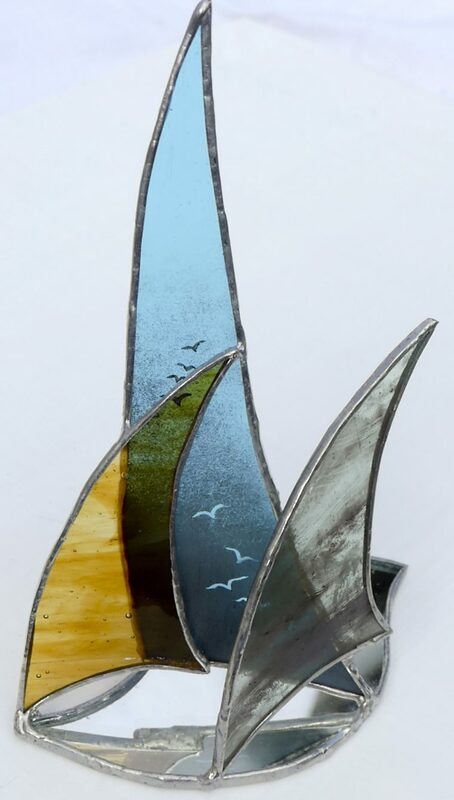 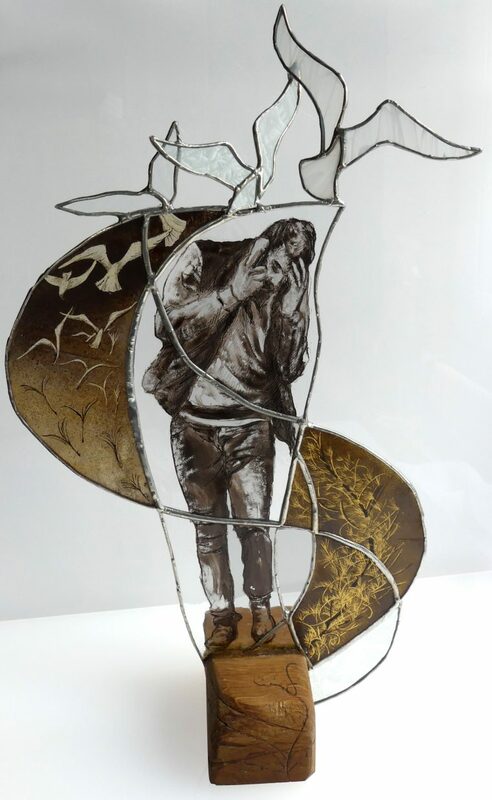 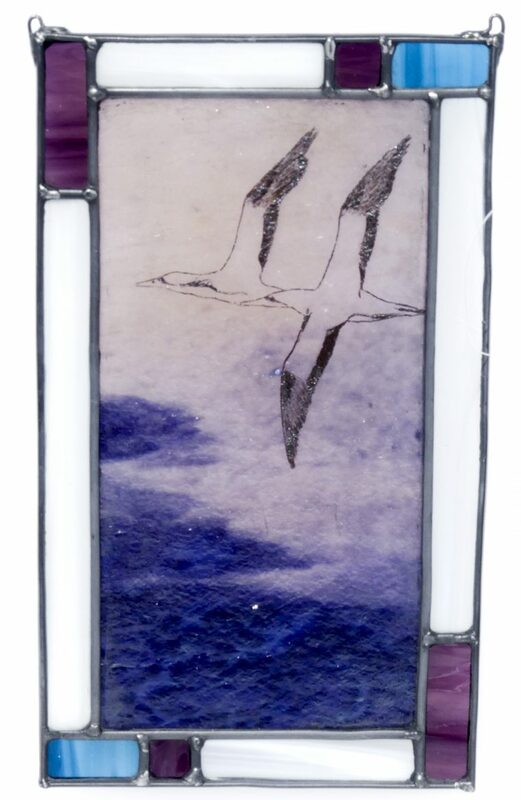 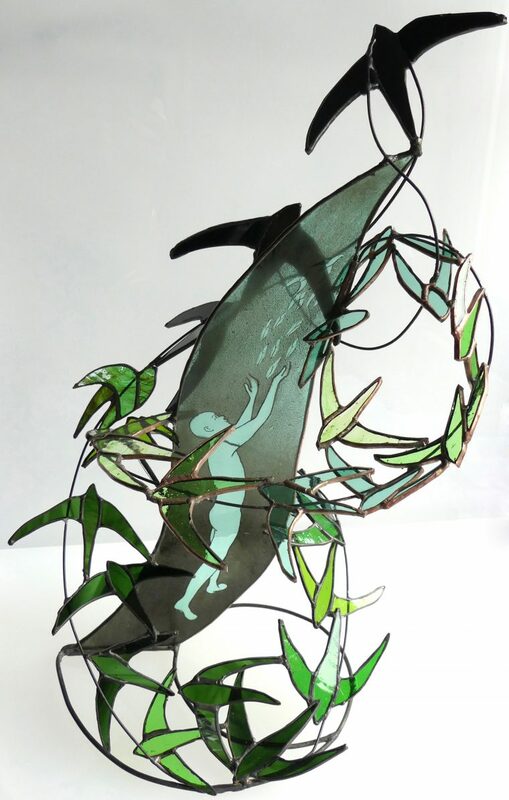 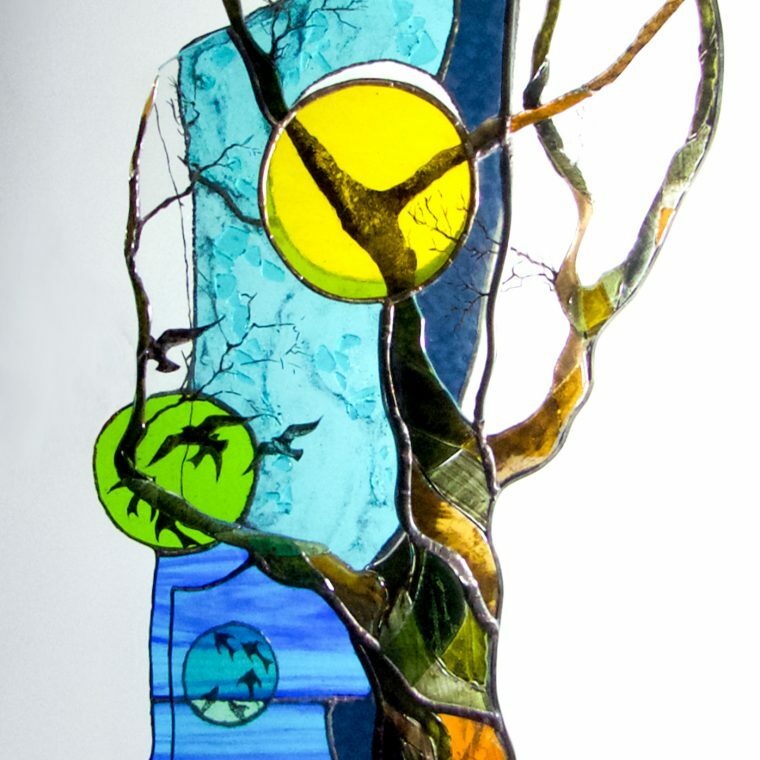 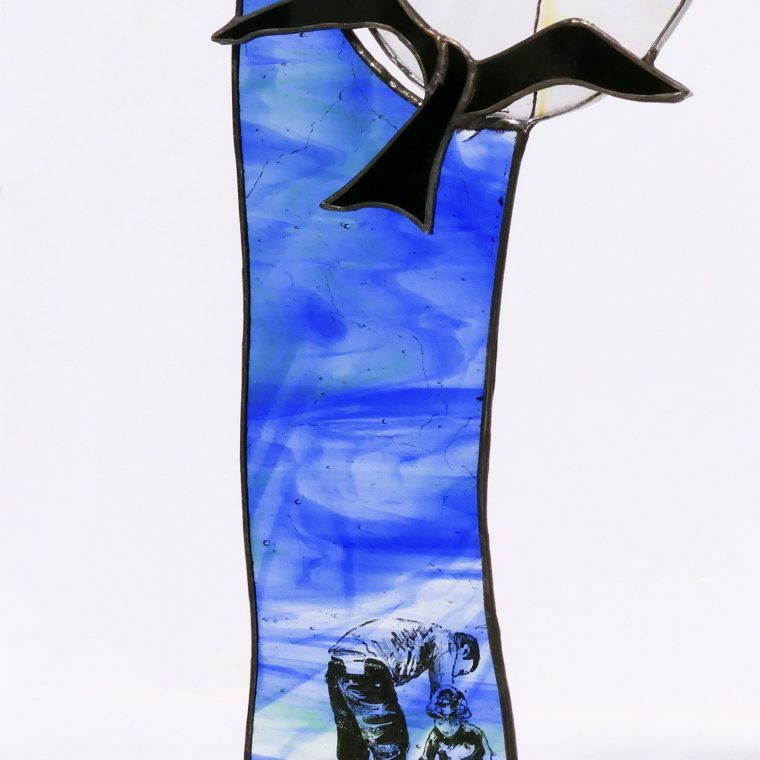 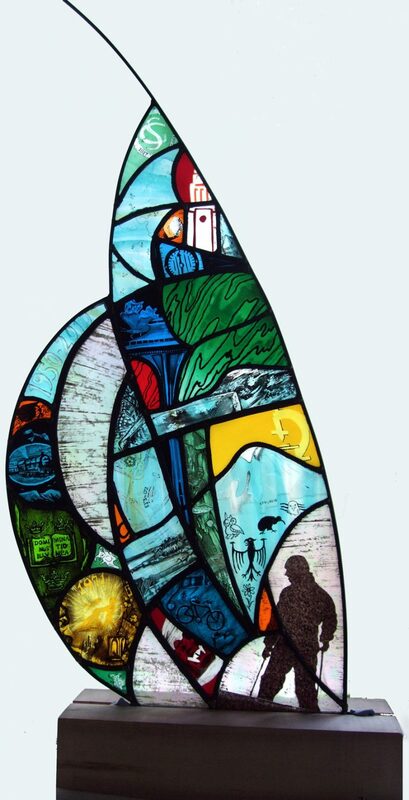 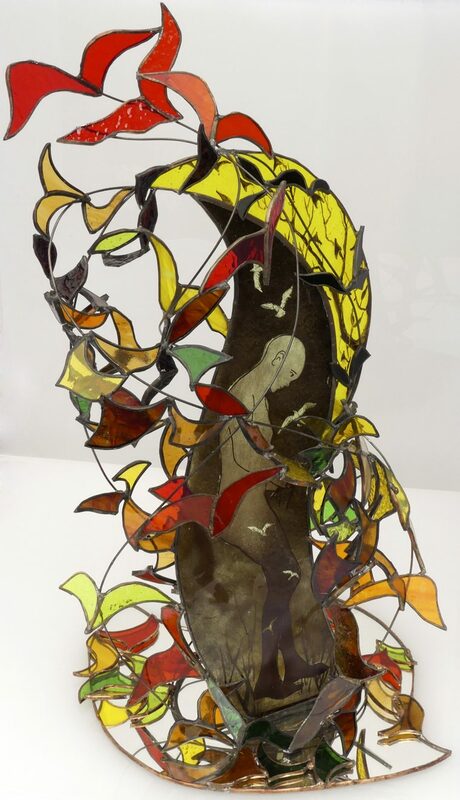 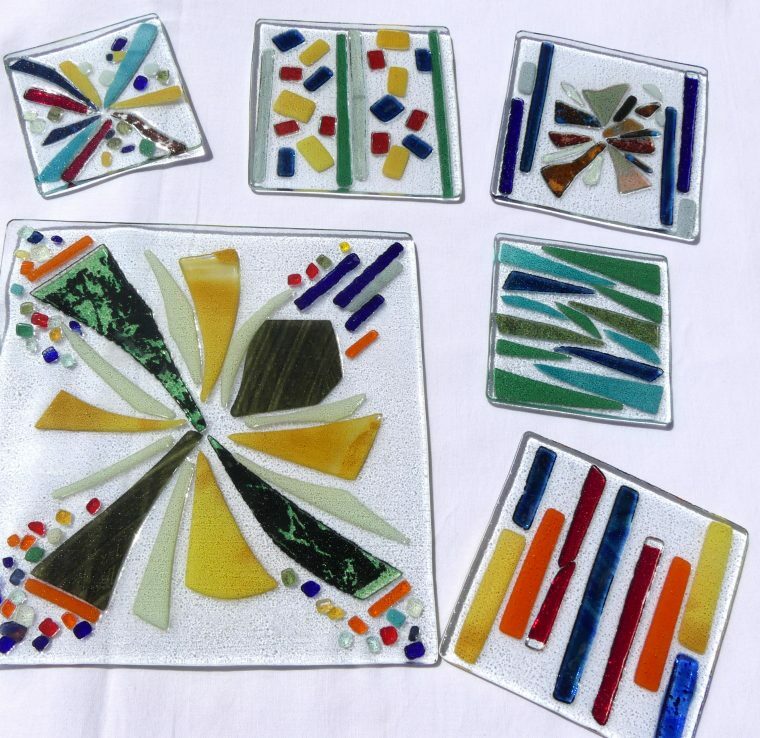 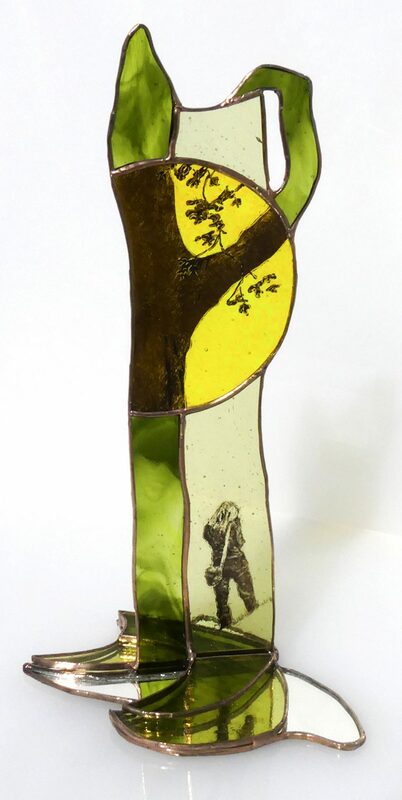 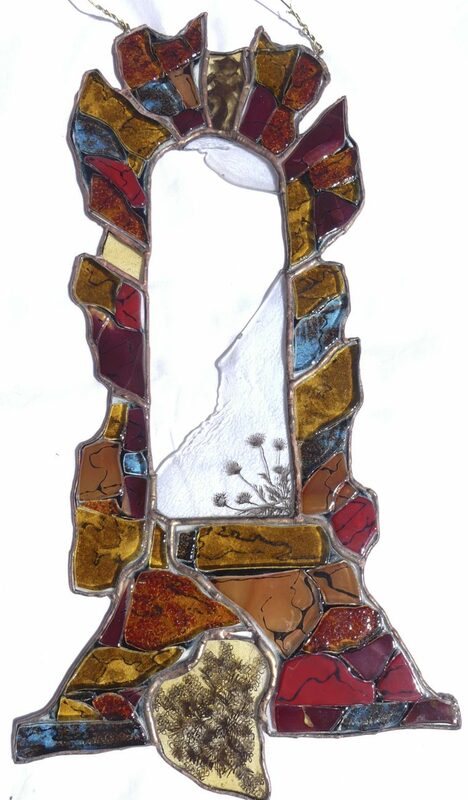 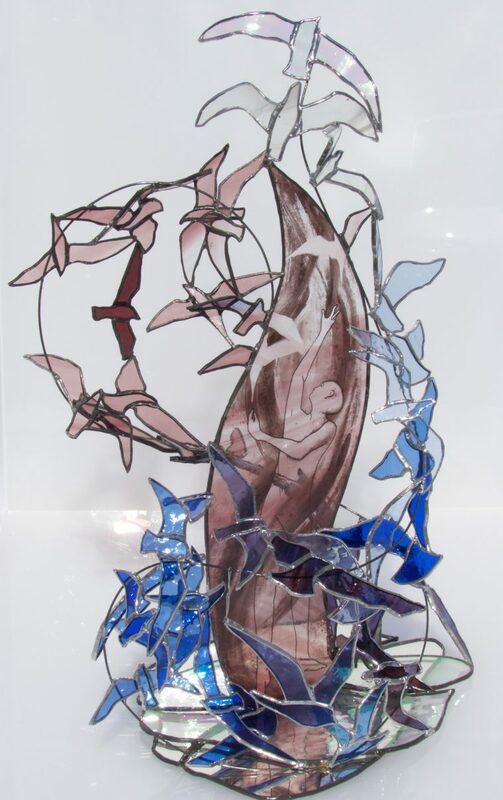 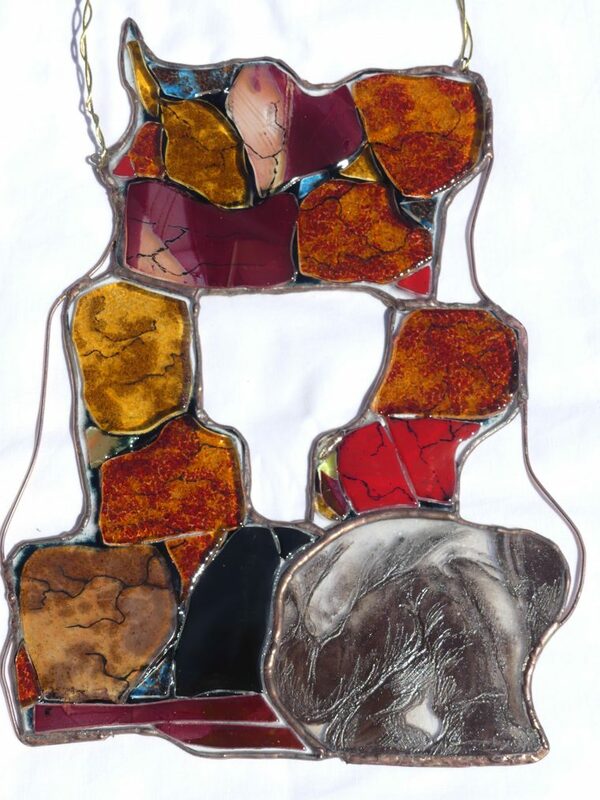 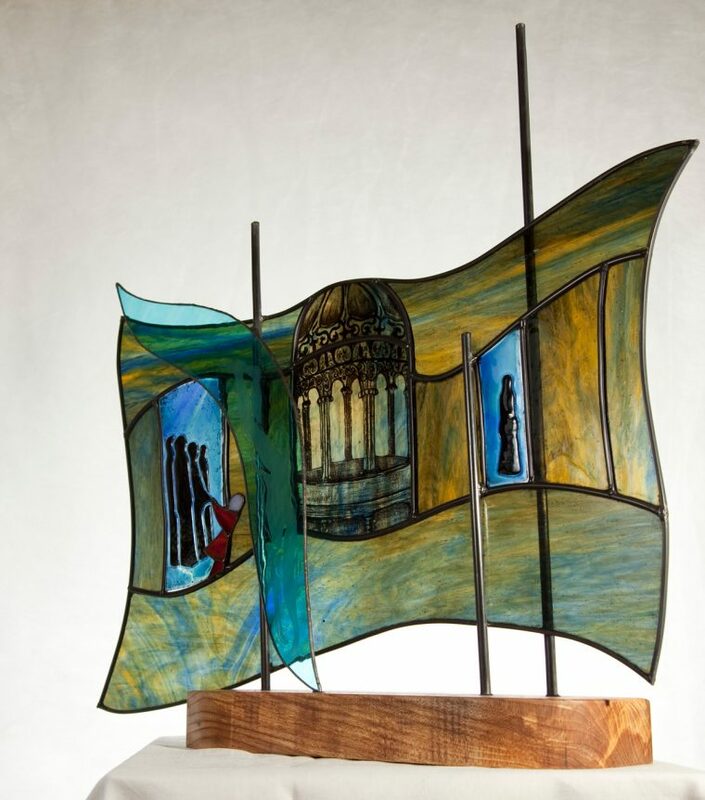 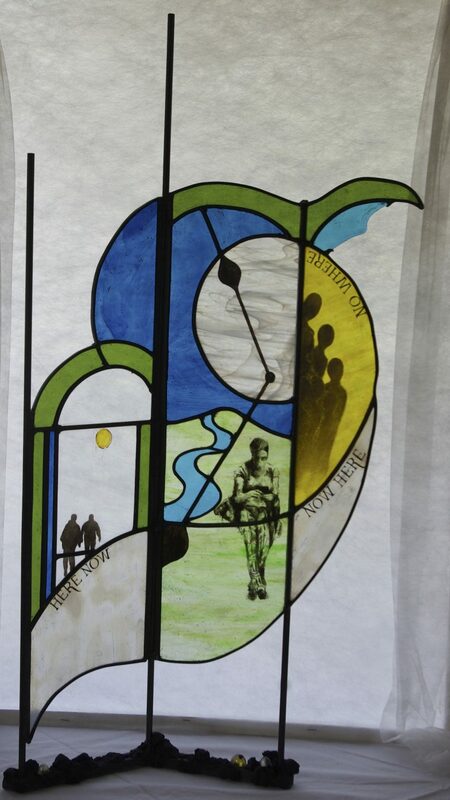 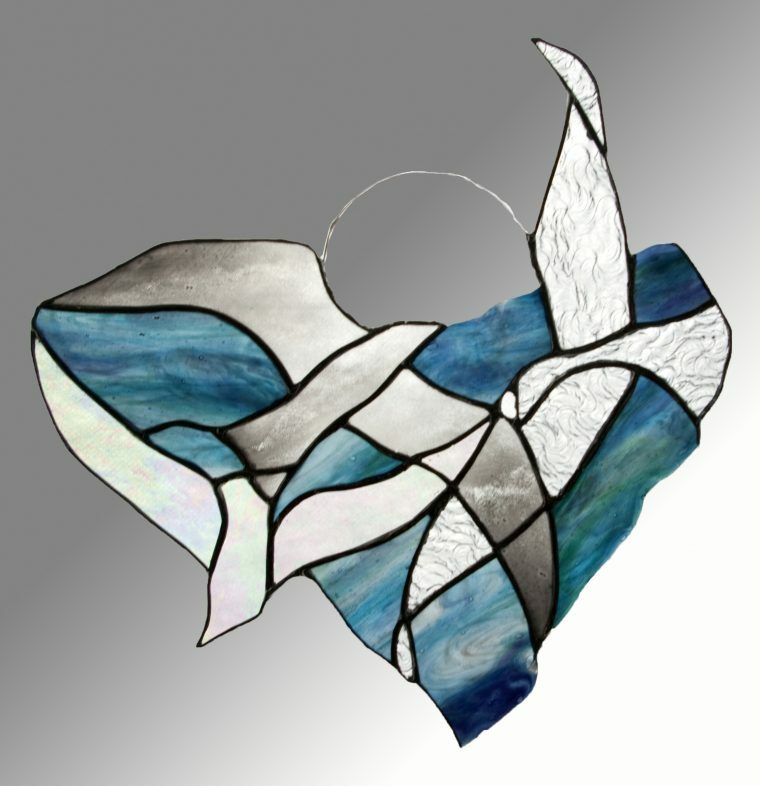 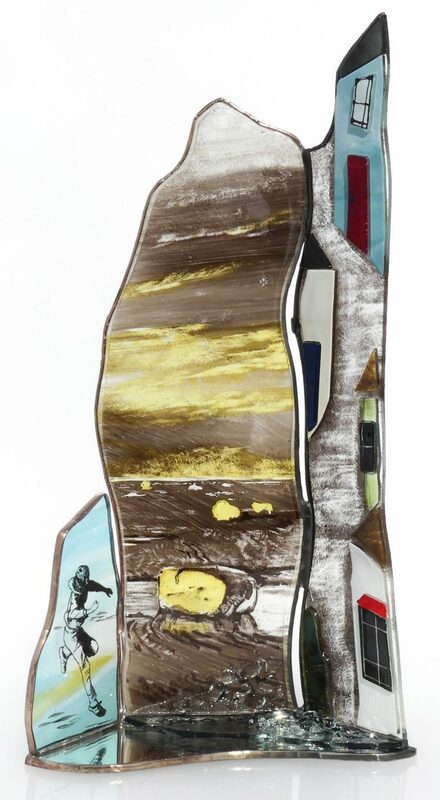 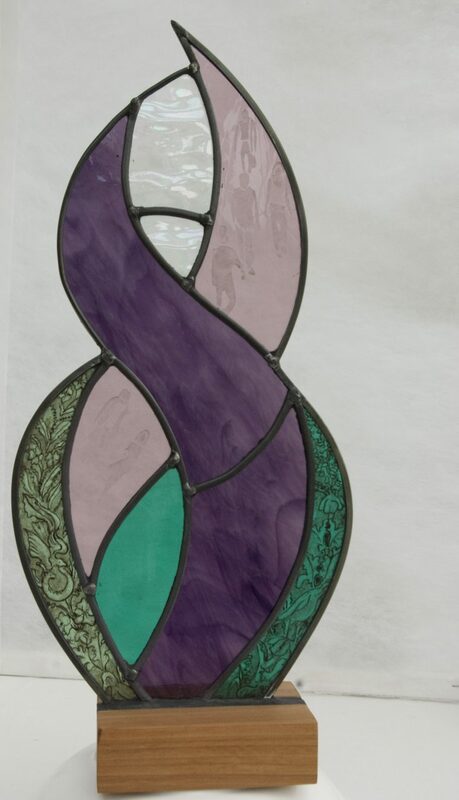 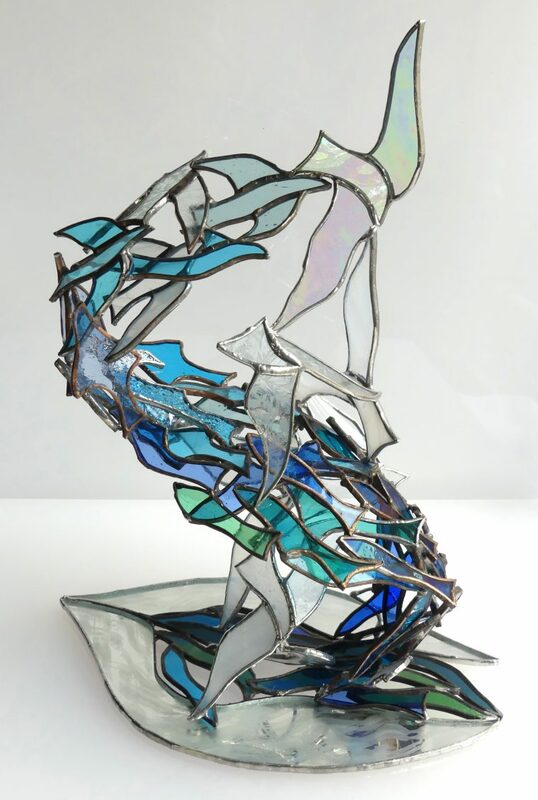 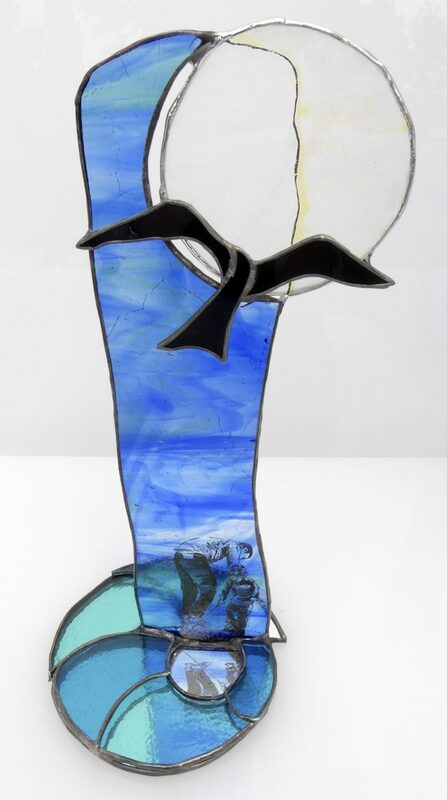 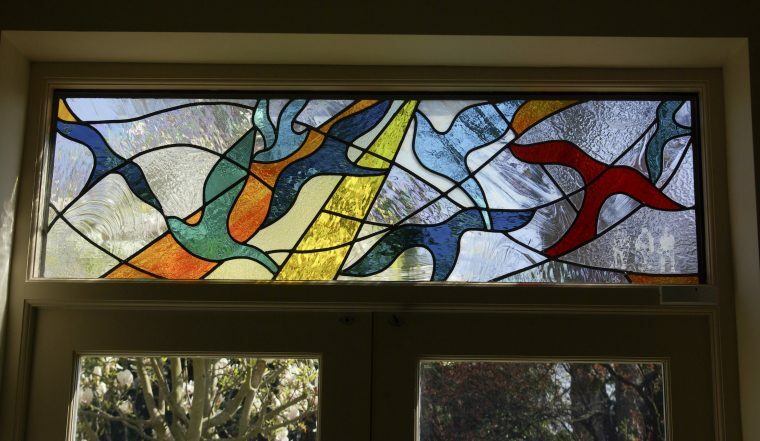 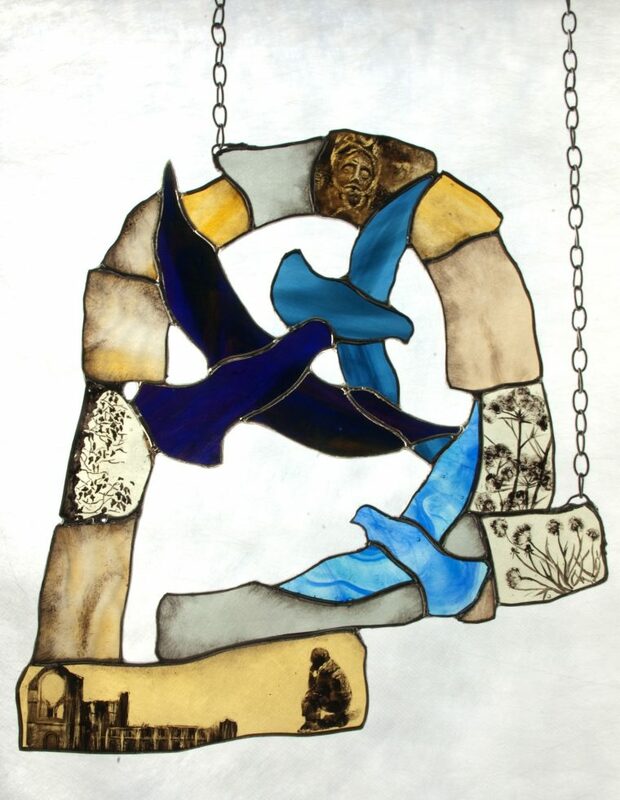 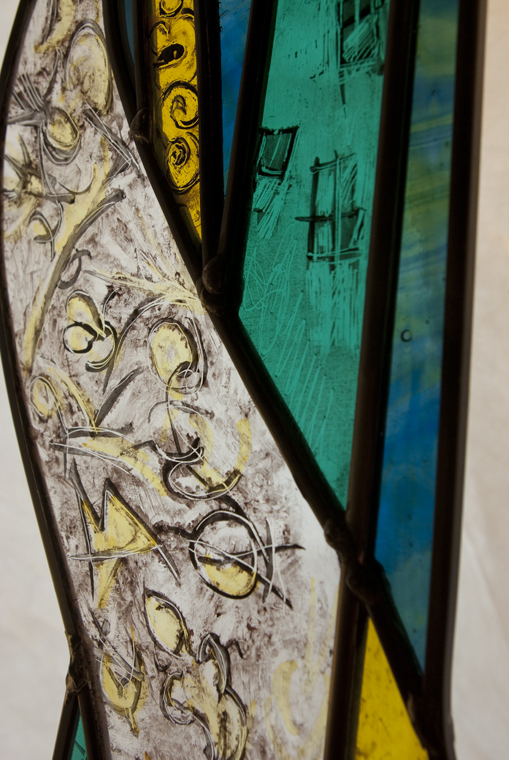 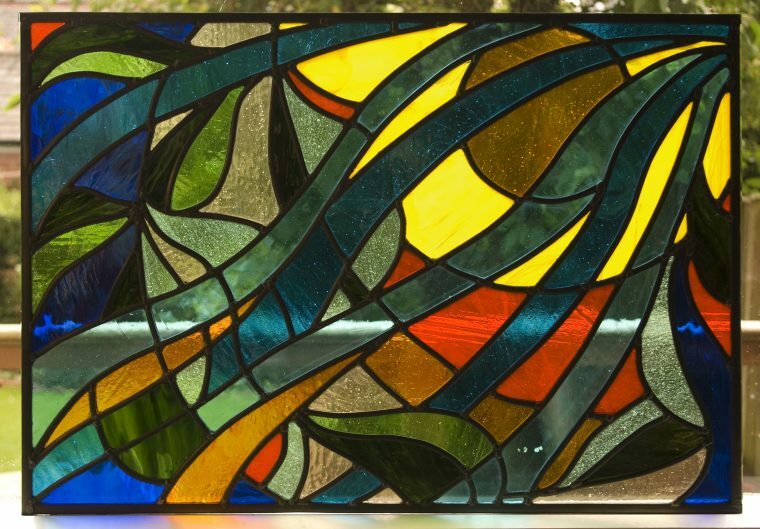 This free standing sculpture uses enamels and stained glass paint, fused glass, engraving and copper foiling. 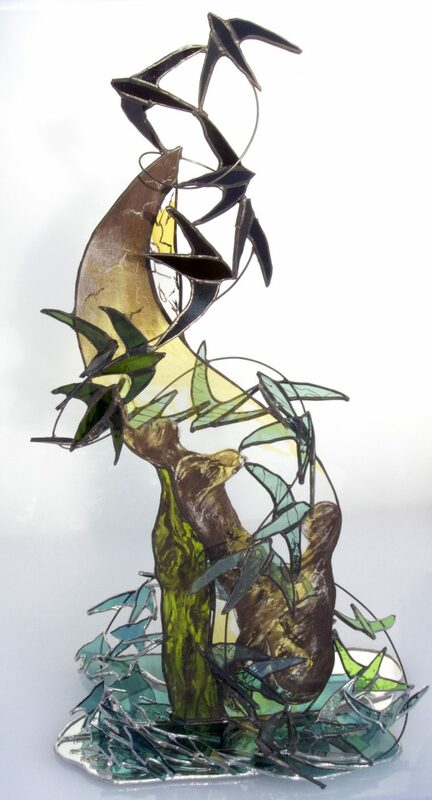 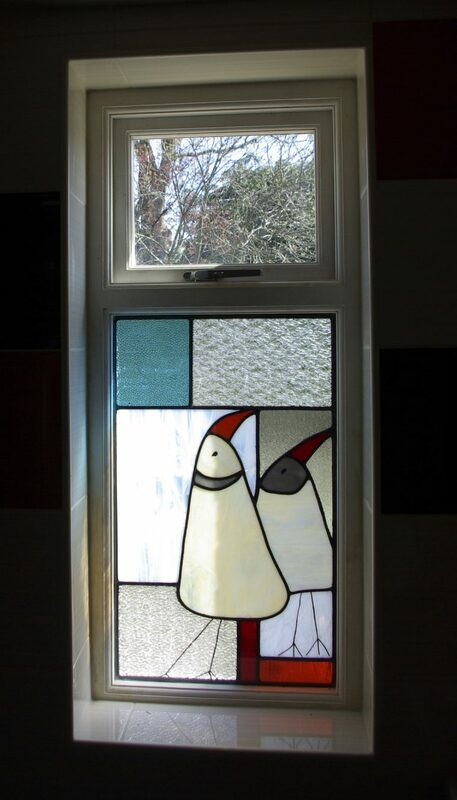 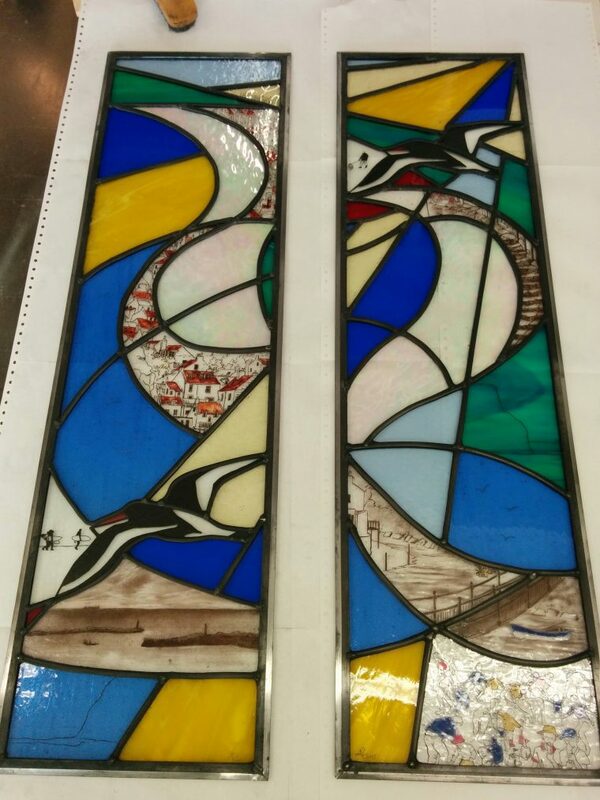 It comprises 3 upright layers with wire and helping the fish and birds to escape.